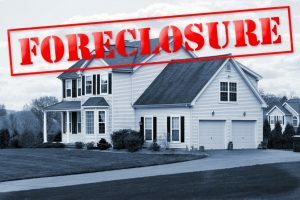 You may or may not deal directly with foreclosed properties, but for many others, foreclosed real estates make up a significant portion of their business. Even the investors who don’t actively pursue foreclosures, the impact they have on the rest of the real estate market is undeniable. To successfully grow wealth with real estate, you need to understand external factors and how they affect your investments. We’ve seen foreclosure rates on a rollercoaster ride for nearly a decade. Now, real estate markets all across the country are seeing some positive gains for the first time in years. How are the changes in foreclosure rates affecting the market, and how can you use them maximize your returns? Foreclosed properties have a huge impact in the real estate market. Banks are not generally in the business of owning real estate. That means that when they are forced to foreclose on a property, they want to get rid of it as quickly as possible. Quickly unloading their real estate holdings means listing them at their quick sale value (QSV) rather than their market price. Valuing residential real estate is hugely reliant on comparable sales data. While distressed sales aren’t exactly comparable to traditional transactions, they still impact prices. What about when a buyer sees your investment listed for $150,000 and a comparable home down the street listed at its QSV of $125,000? The fact that one property is distressed and the other isn’t won’t likely sway their decision. As foreclosure rates go up, these lower-priced homes begin to flood the market. More and more properties are competing to be sold as quickly as possible. You thought that one foreclosed home in your neighborhood would harm the sales potential of your investment. Now imagine how having ten vacant properties being sold on your block will affect neighborhood prices. Foreclosures also affect the market because they stop prior homeowners from obtaining new mortgages. This means that most won’t be able to buy real estate for years. Not only do high foreclosure rates raise the market’s supply, but they also decrease the demand. Since 2007, foreclosed properties played a huge role in the marketplace. Now it looks like that is likely to change. Late last week, real estate data firm RealtyTrac released their Foreclosure Market Report for February. The numbers show promising results for the US housing market – total foreclosures filings came in at 112,498 for the month. This may sound like a lot, but in reality, it’s a 10% decrease from January’s figures. It’s also 27% lower than one year ago in February 2013. In fact, February’s number of foreclosure filings is the lowest since December 2006 – before the collapse of the housing market. Despite the nationwide trend of foreclosure rates decreasing, the numbers of distressed properties in some areas are still on the rise. In Maryland, for example, February’s saw foreclosure proceedings at a rate of one for every 557 homes in the state – a 15% increase over last year. Florida faced even worse numbers – one out of every 372 homes experienced some type of foreclosure activity during the month. To top it off, nine out of the top ten worst metropolitan areas for foreclosure rates were in Florida. While the number of foreclosures is shrinking in most places, these properties are still available all across the nation. In addition to Maryland and Florida, twelve others saw rates rise in February. The market is dynamic and always changing. As an investor wanting to be successful in real estate, you need to be also. This means that investment approaches which worked well a few years ago may not be as effective anymore. If foreclosures play an important part of your strategy, you should begin diversifying as soon as possible. There will always be foreclosed properties, but they won’t always be as easy to find as they are now. Investors focusing on foreclosures, especially as a part of fix and flip property or buy and hold property strategies, should think about being strategically agnostic. This is a great way to diversify the ways you build wealth and profit under any market conditions. The landscape of the US real estate market is changing. Foreclosure rates across the country are much less than ten years ago. As an investor, it’s crucial that you understand how various external market factors are changing. You can then determine how those changes impact your investment strategies. Savvy investors won’t just reassess they main investment strategy, however. They’ll take a look at all of the different ways to buy and sell real estate and see how changing market conditions might allow them to build wealth in ways they hadn’t considered in the past. Be the first to comment on "Why Foreclosure Rates Matter To Real Estate Investors"